'Peace partner' calls for international pressure for ceasefire in operation on 'occupied Palestinian territory' of Gaza. Egypt on Friday called on Israel to stop Operation Protective Edge as Gaza terrorists continued to pepper Israel with rockets, branding the operation as "oppressive policies of mass punishment." "Egypt rejects the irresponsible Israeli escalation in the occupied Palestinian territory, which comes in the form of excessive and unnecessary use of military force leading to the death of innocent civilians," the Egyptian Foreign Ministry said according to AFP. The operation has struck 1,100 terror targets since Monday in Gaza; the territory is governed by the Hamas terrorist movement and since 2005 has not been "occupied" by Israel. The foreign ministry stated "this represents a continuation of the oppressive policies of mass punishment," while appealing to the international community to interfere and impose a ceasefire. "Egypt demands that the Israeli side adopt self-restraint...and keeping in mind that it is an occupation force, it has legal and moral obligations to protect civilians," read the statement. 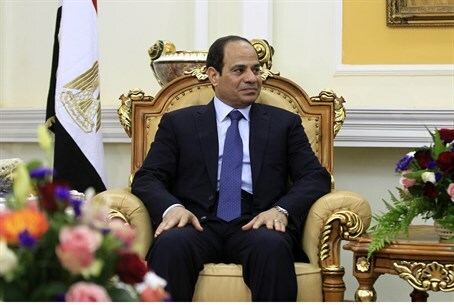 The continued operation would not "create the suitable climate...for future negotiations to peacefully settle" issues, claimed Egypt, even while neglecting to comment on the ongoing barrage of rocket fire by Gaza terrorists. Egypt's army chief and defense minister General Sedki Sobhi approved orders to send 500 tonnes of food and medical supplies to Gaza shortly following the statement's release, according to the state-backed MENA news agency. As of Friday morning, terrorists have fired well over 407 mortars and rockets that struck Israel, with at least another 118 rockets being shot down by the Iron Dome anti-missile defense system since the start of the operation on Monday. While Egypt brokered a ceasefire in the 2012 Operation Pillar of Defense, the Nile state is not anticipated to take an active role this time around. Egypt opened its Rafah border crossing to Gaza on Thursday to receive wounded Gaza residents and Egyptian citizens, easing a months-long Egyptian siege on the Hamas-stronghold. Highlighting the tensions between Israel and its Nile "peace partner," Egyptian President Abdel Fatah al-Sisi has said there is a chance for "true peace" with Israel if it adopts the 2002 Arab Peace Initiative, which demanded Israel withdraw from Judea and Samaria, at which point the Arab states would supposedly recognize it. He added that he would be willing to change the peace agreement with Israel.